The village of Kaliappettai, otherwise known as Doddacharpuram, is on the western side of the River Palar and at a distance of 8 KMs from Chengalpattu town. It has a glorious history of its own, of which we are all very proud. The village has a Vishnu temple whose presiding deity is the moola vigraham of Sri Lakshmi Narayana (moolavar only). The temple also houses Sri Venugopala Swami with his consorts Rukmini and Sathyabhama, Senkamala Thayar, Sri Karvannathullan with his consorts, Sri Chakrathazhwar, Nammazhwar, Thirumangai Azhwar, Swami Emperumanar, Sri Manavala Mamunigal & Swami Annavilappan whose idols were installed in the temple in various periods. The history of the village dates back to nearly five hundred years and the temple had all along been witnessing daily thrikala poojas, thirumanjanams and grand annual festivals for the deities as per the agama shastras. 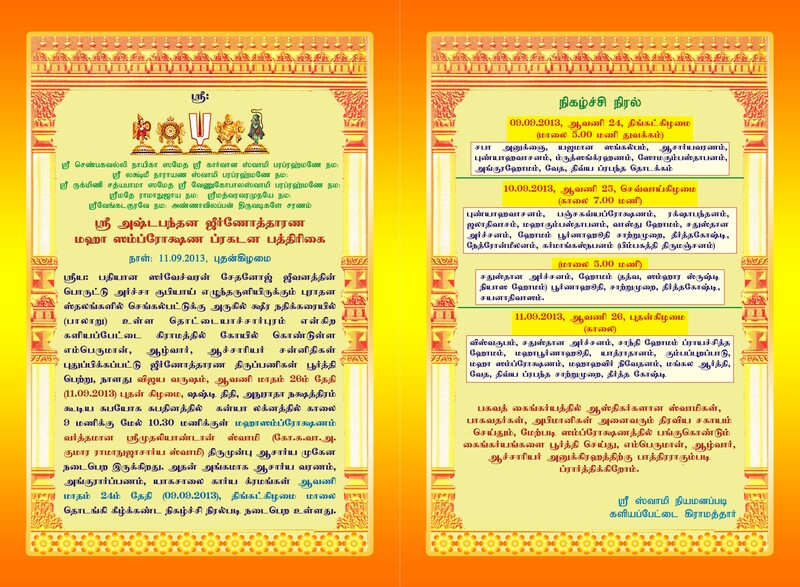 Special mention must be made of the unique ten-day uthsavam to Swamy Emperumanar conducted on a grand scale following the same procedure as in Swami’s birth place, Sriperumpudur. The year 1928 was very special as that year the temple underwent samprokshanam in the gracious presence of Sri Sonnavannam-seytha Perumal of Yathokthakaari Sannidhi (i.e., Thiruvehka Divyadesam) along with Sri Mudaliandan Swamigal, Sri Thirumani Swamigal and Sri Pillai Lokam Swamigal. 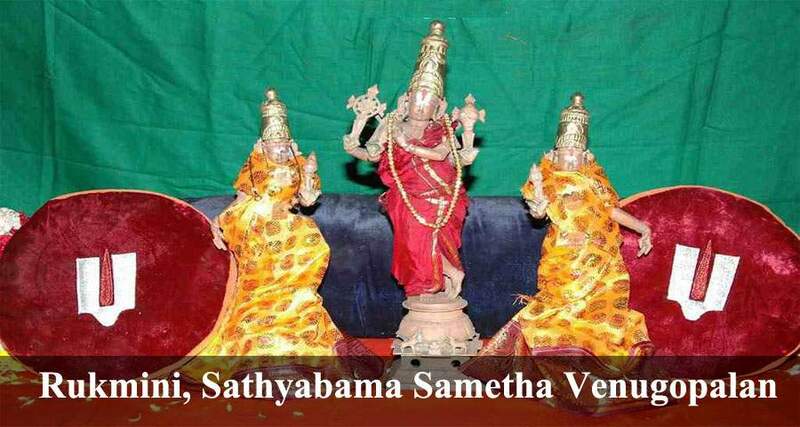 Uthsavams following this custom were carried on without any break until 1983. The dearth of financial inflow and the lack of periodical maintenance resulted in gradual dilapidation of the temple structures including the vahana mandapam, madaipalli and the compound walls. To address this lamentable condition of the temple, Sri Venugopala Swamy Kainkarya Sabha was revived with the anugraham and advice of our Acharyan, Sri Koil Kandadai Vadhoola Desika Annavilappan Kumara Ramanujacharya Swami (Mudaliandan Swami). 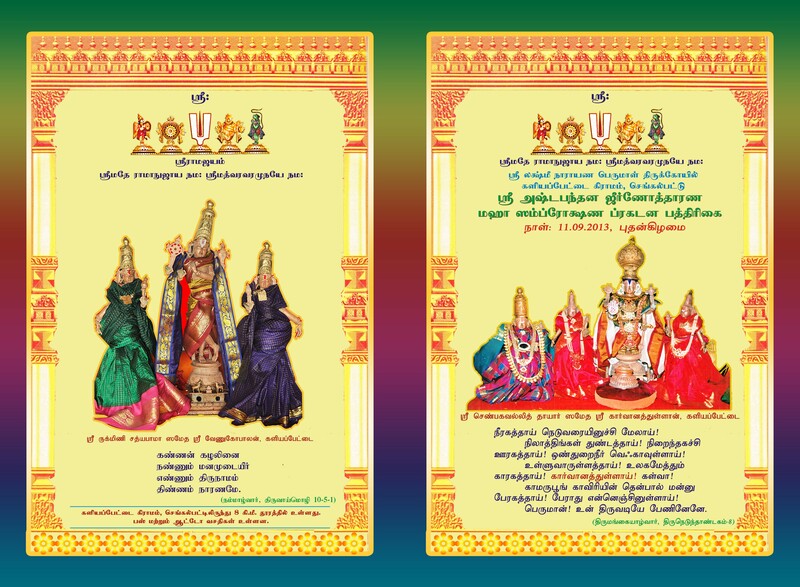 Further, a Renovation Committee was constituted, which resolved to urgently commit to renovating the temple structure so that nithya-thiruvaradhanam of perumal and general worship can be resumed.